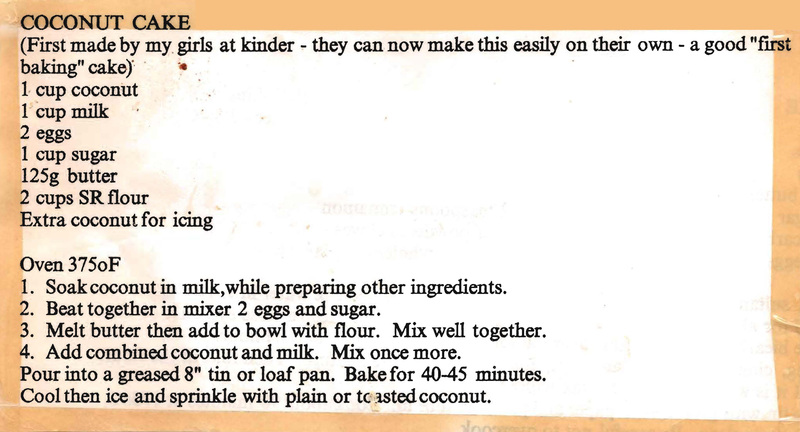 When my children were at primary school I helped put together a cookbook as a fundraiser. The school community were asked to send in contributions and we ended up with lots of great recipes. The mother who sent this one in added the note about it being a good ‘first baking’ cake and it definitely is. It’s been made many times in my household by both the kids and me. The added bonus is that it also tastes great. This is a traditional South African dish and is basically a curried mince pie. The milk, bread cubes and egg give it a nice custard topping somewhat like moussaka. 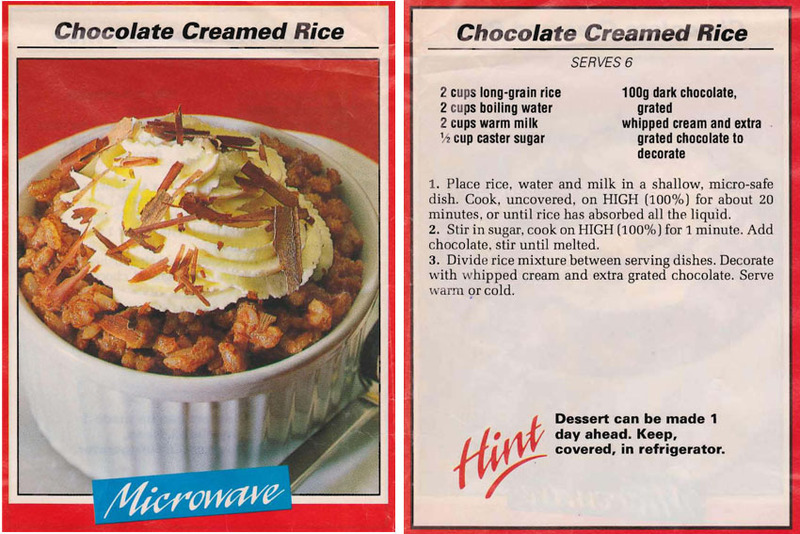 This recipe was published in the Woman’s Day in 1991 and uses a microwave to cook the rice. I think it would work even better if you cooked it in a rice cooker. 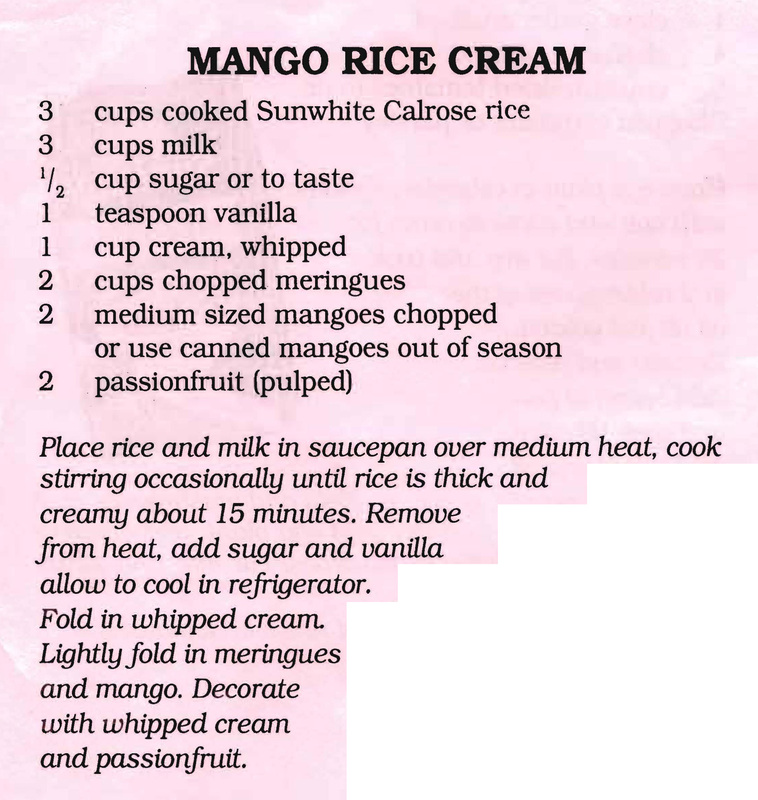 I’d make sure I washed the rice before using it and I’d substitute cream for some of the water & milk. I think then you’d have a lovely creamy, chocolaty mix. This is one of those pies where you combine all the ingredients, pour them into a pie dish and hey presto when you take it out of the oven the coconut, sugar & flour have risen to the surface to make a crust. 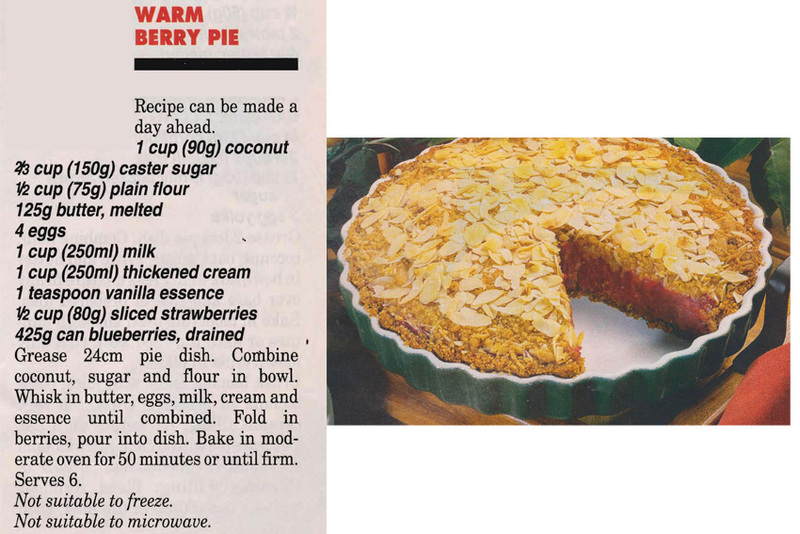 The strawberry and blueberry filling is a little unusual though and the almonds on top add a lovely crunch. Not sure how often friends ‘drop in for afternoon tea’ these days, but if you get a last minute call to say they’re on the way this quick and easy tea cake might work for you. Although I think I’d take the time to cut the apricots up and not just add them whole to the mixture.